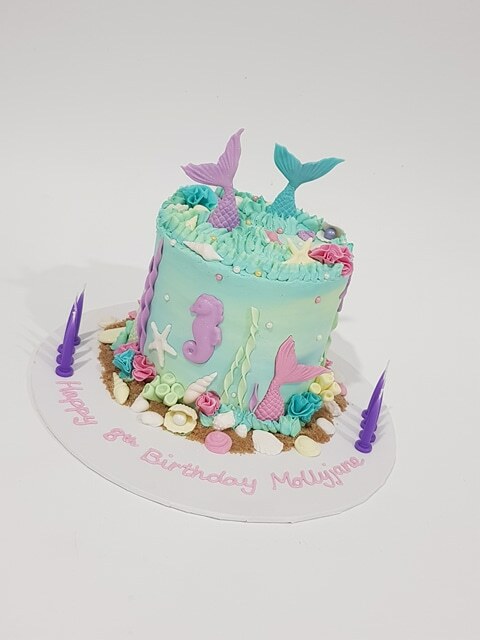 A tall, 4 layer cake with mud cake layers, chocolate ganache between layers, and a buttercream finish. 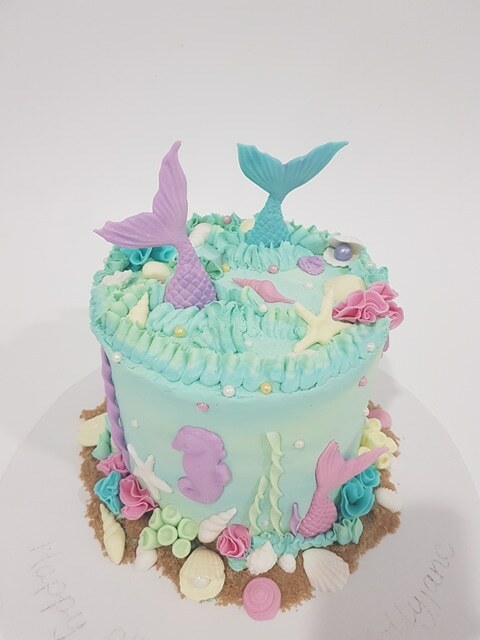 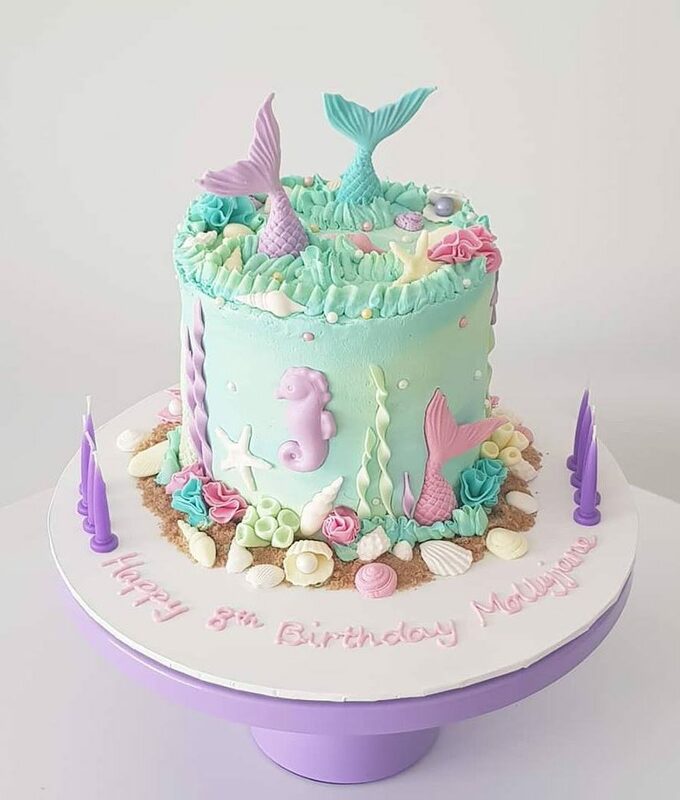 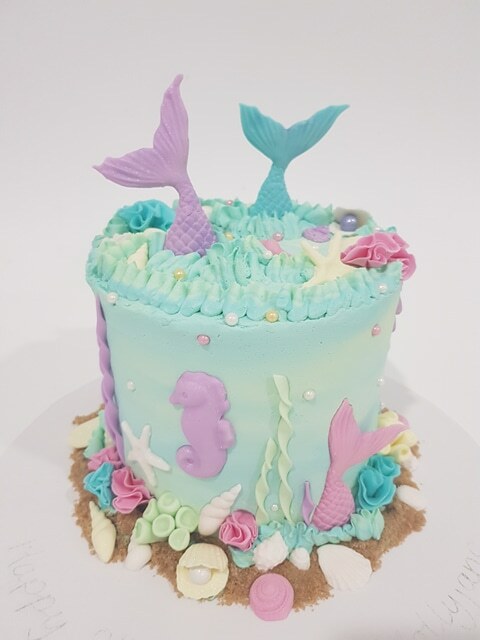 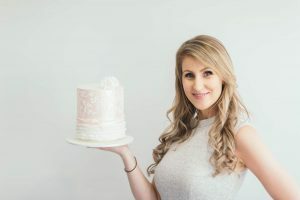 Decorated with fondant mermaid tails, seashells, sea horse, starfish, seaweed, coral, sugar sand, pearls, etc, to create the perfect Mermaid themed cake! You can customise with pastel or bright coloured decorations.